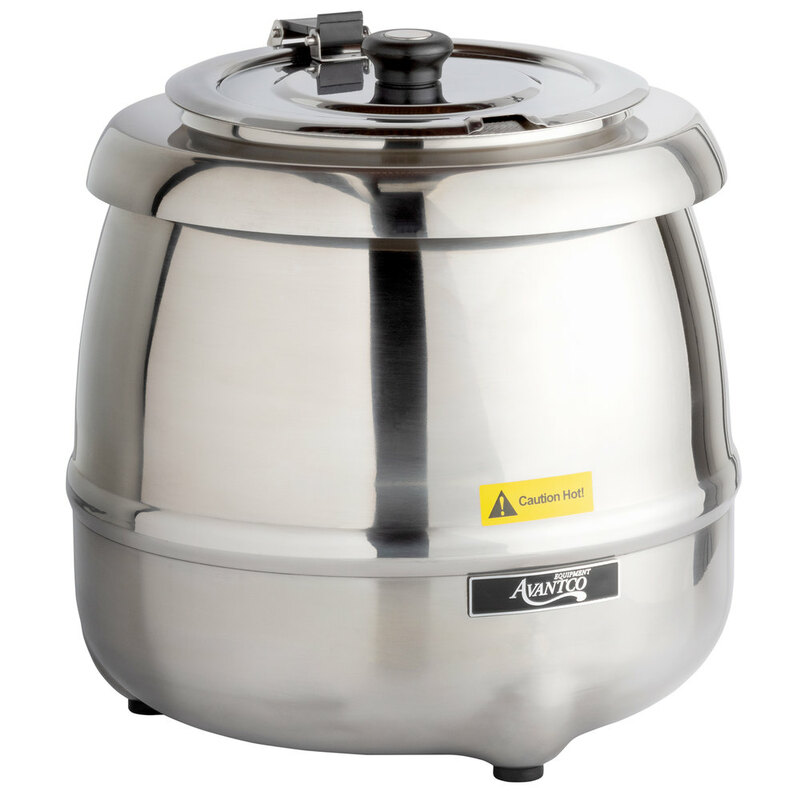 Outfit your restaurant or catering service with this Avantco S30SS 11 qt. 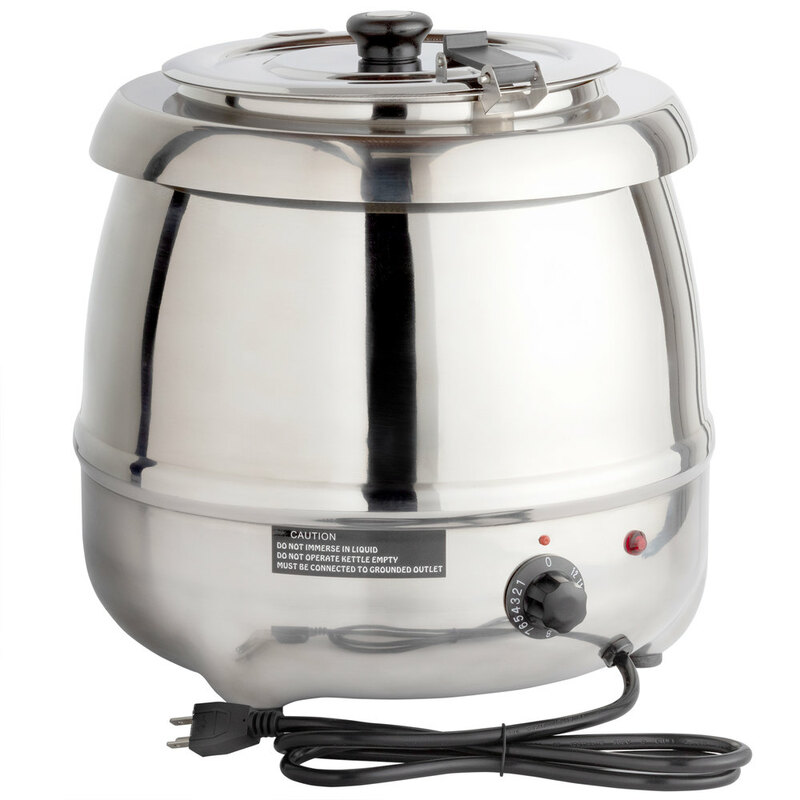 stainless steel soup kettle warmer! This kettle features an 11 qt. capacity so you can hold large quantities of soup at a time. With 400W of heating power, this soup warmer is great for keeping your soups and sauces at the perfect serving temperature. The adjustable temperature knob makes it easy to control the heat inside the kettle, while the hinged lid features a knob so it can be easily opened by your staff or customers. 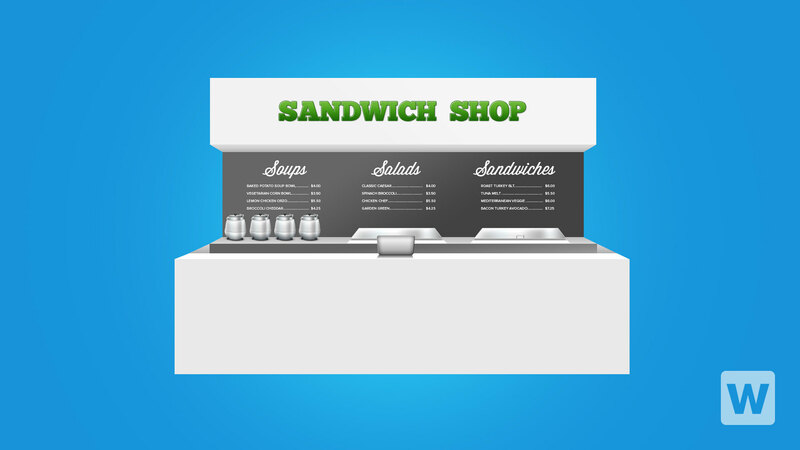 Also, the magnetic soup labels make it clear to your customers what you're selling. 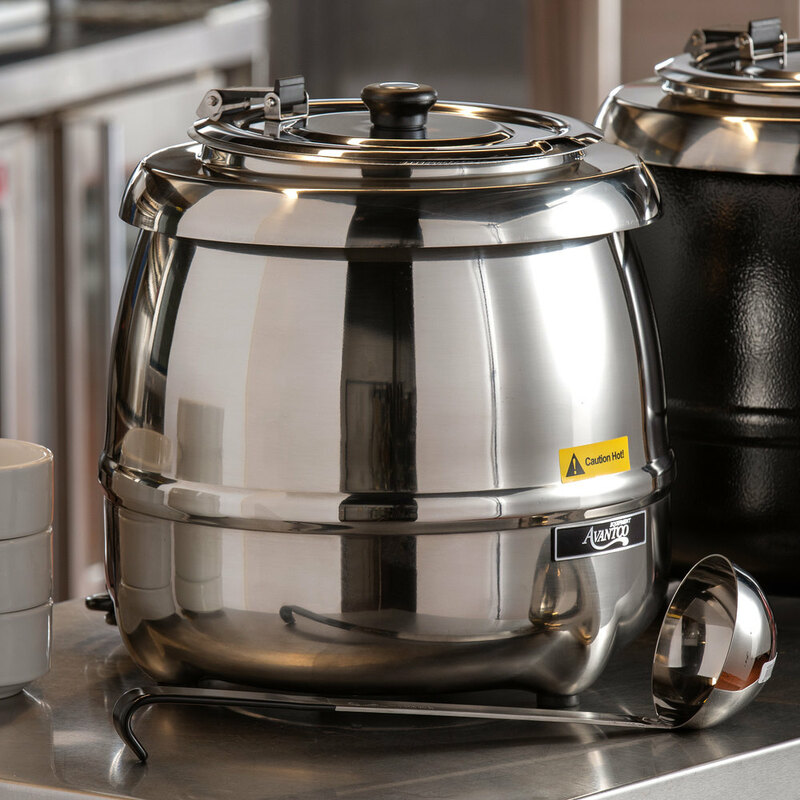 An aluminum inner liner and stainless steel pot ensure long-lasting durability, and thanks to its shining stainless steel, you can be sure this kettle will complement your business's decor while providing quality products to your valued customers. Temperature range is 105 to 195 degrees Fahrenheit. Do not operate with empty kettle. Always check water level before using. There was a bit of a learning curve with this soup warmer, making sure there's enough (but not too much) water so that it doesn't scorch the soup, and also what heat the different dial settings do. 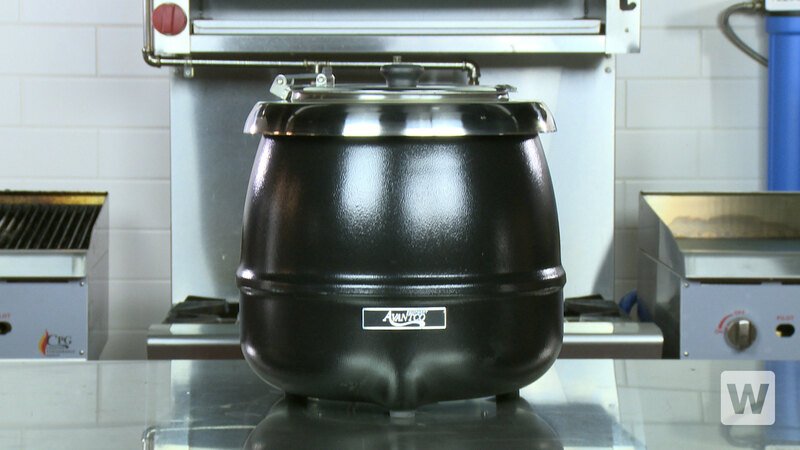 We found that the 11qt is very bulky and took up a lot of counter space and ended up getting the slimmer 6qt version later. We used this kettle for several soups and it kept it at perfect temp! It holds the right amount of liquid for our needs. Its easy to clean also. this specific model here is perfect because it is very durable and very easy to use and it really holds your food in there and keeps it nice and hot. 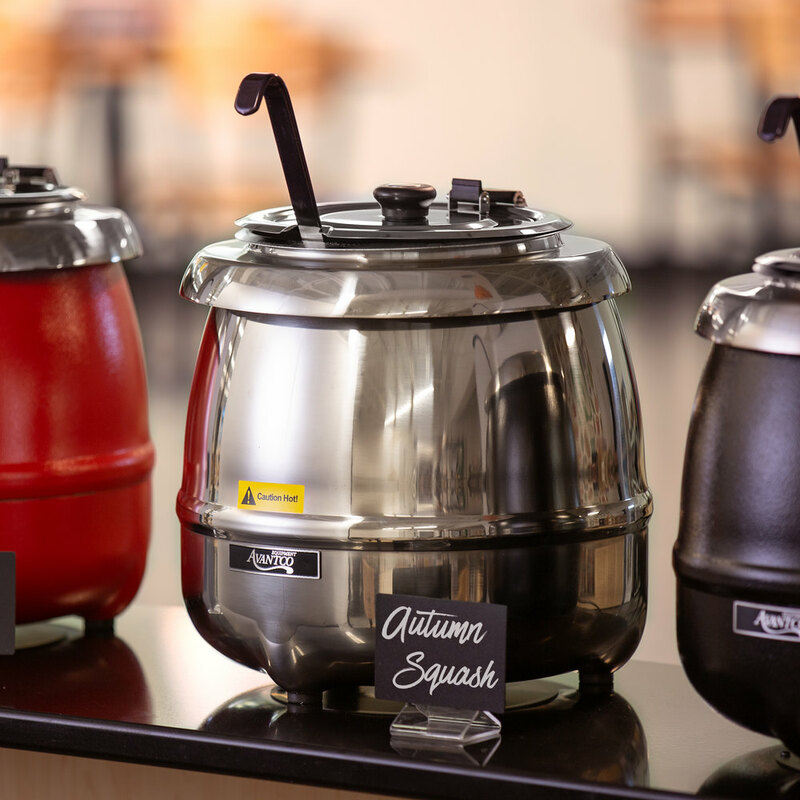 This soup kettle holds the perfect amount of soup for our busy cafe. It keeps the soup warm all day and we love that the lid has the gap for a soup spoon! This soup kettle keeps food warm very well. It can hold soup to a very hot temperature, even scalding at times. It isn't too big for our counter, and worked well. Our sales for soup increased with the setup of these. They are great and add to the appeal of our location we might purchase a few more so that we can carry a few other soups hot for the day. Time saver if your restaurant is really busy. Keeps soups warm really well. Decent product for money spent. Easy to clean. Definitely worth buying these warmers. This kettle is amazing! I've used it to keep melted chocolate and caramel warm for dipping desserts! Everyone always gets a kick out of it! Another great item by Avantco! We will be placing orders for more soon these are great! Keeping soups at the perfect temperature is exactly what this product does. Soup kettle warmer is a wonderful product. Great item to be used at wedding receptions. Holds plenty of gumbo, allowing it to stay warm and fresh. Will purchase again. This product looks great and works great. We use it to keep our pulled pork warm. It never sticks or burns to the warmer. And a great price! I like this one because it looks expensive and fancy . If you are looking to class up your buffet line then I would recommend this soup warmer. This is a great product! We use it to make and hold our queso cheese dip. It doesn't burn the product like other one do. AMOK always turns to Avantco for equipment for our restaurant. This 11 Qt. 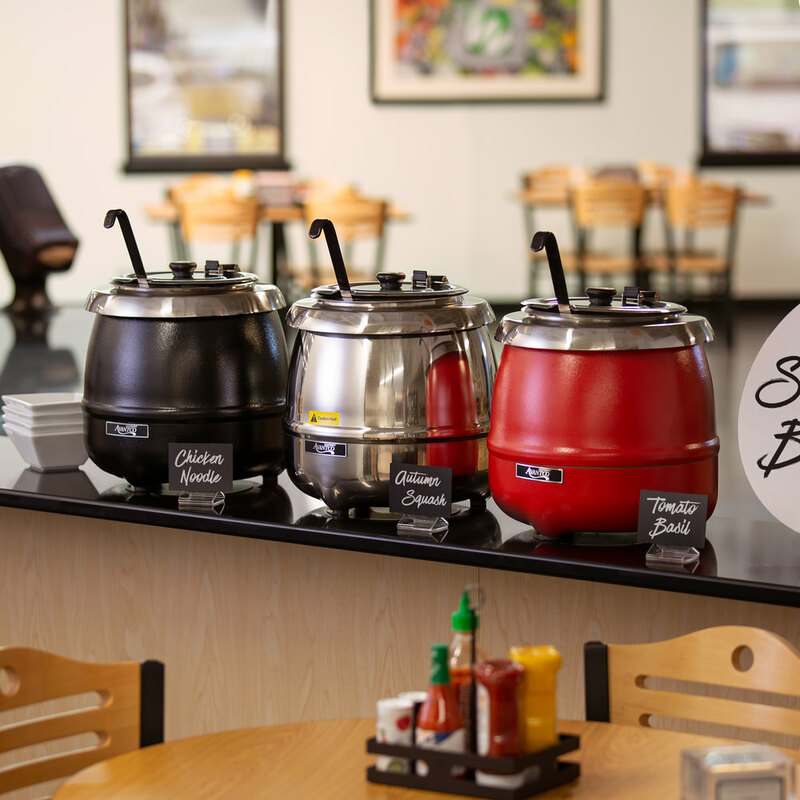 soup warmer is a great value and allows us to keep our products hot and ready for our customers. Prefer this one over the smaller unit. It cleans up easily too, which makes this a double bonus. Affordable, and sleek, double winner that is for sure! This is a great little soup kettle that we use to keep one of our hot sauces warm during off-site events. They draw a good dose of electric so be prepared with your electrical needs, otherwise they work just as advertised. I love this 11 quart stainless steel warmer! It is great for holding soup hot all service long! It works well for hot holding chili or stews for family meal! !